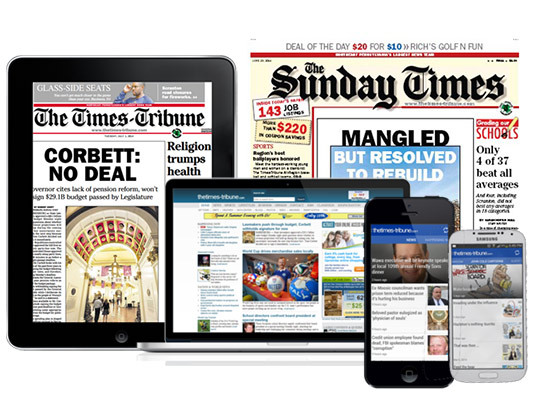 The Scranton Times-Tribune's All-Access subscription plan provides you with access to all content on all platforms - print, online, mobile phones, tablet devices and e-editions. To get started, subscribe to home delivery today! 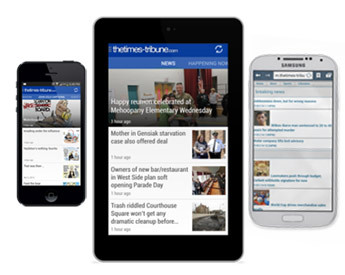 You'll not only receive home delivery of The Scranton Times-Tribune, you'll also get free access to all of our digital products: TheTimes-Tribune.com, The Scranton Times-Tribune News Apps for iPad and Smartphones (iPhone and Android), The Smart Edition (Print Replica) on Desktop or Mobile Devices. 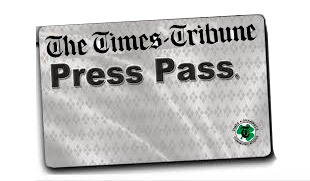 You'll also receive Subscriber Rewards like contests and events, and a PressPass membership giving you access to offers and discounts for more than 175 local businesses. Our website is the most comprehensive digital platform available in the market. Join in the conversation with our comments feature, and interact with us through in-depth databases, blogs, videos and commentaries. Our All-Access membership offers unlimited access to our website 24 hours a day/ 7 days a week. 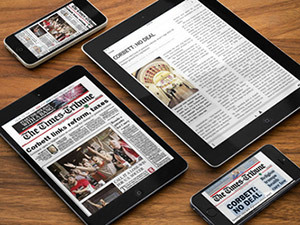 The daily newspaper, enhanced in incredible ways, is now available on the iPad through The Scranton Times-Tribune app. Download an exact replica of the day's edition of The Scranton Times-Tribune and special supplements it on your device for an unlimited time. Interactive features allow you to zoom, enhance, listen in several languates, download older editions and share stories. 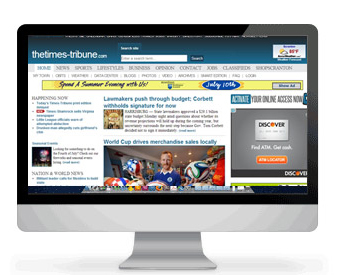 or on our mobile friendly website, m.thetimes-tribune.com. 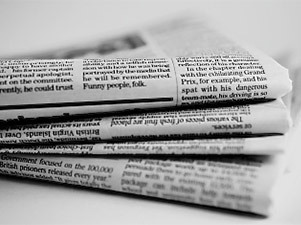 Subscribers receive access to our newspaper archives dating back to 1992. Click here to access.